Poster of the Fitch-Wiener Seminar by Dr. Ricardo Fernandes. 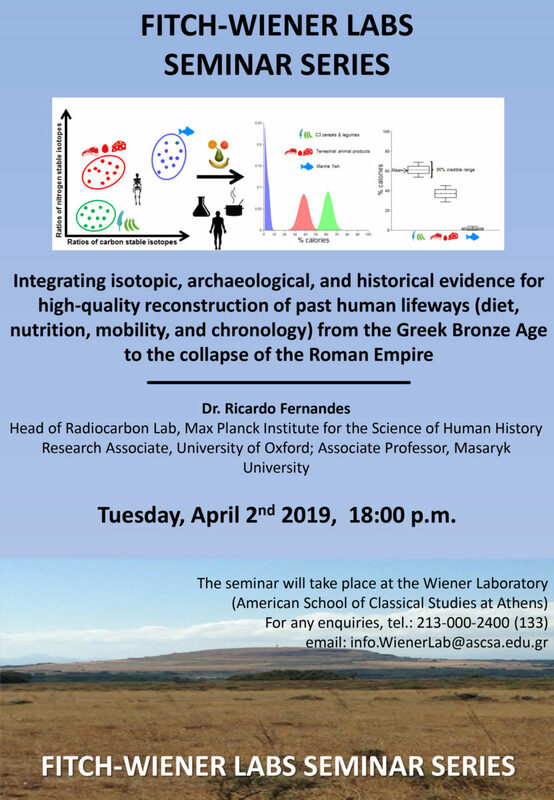 University) will address the topic “Integrating isotopic, archaeological, and historical evidence for high-quality reconstruction of past human lifeways (diet, nutrition, mobility, and chronology) from the Greek Bronze Age to the collapse of the Roman Empire”. The seminar will take place at the Wiener Laboratory (American School of Classical Studies at Athens).